AccuWeather Platinum, our recent pick for the best general-purpose weather app, is a recent addition to my home screen. While I love Dark Sky, I do feel like the updates are becoming less and less frequent over time. After I read the review of AccuWeather Platinum, I decided to give it a shot. I wasn’t thrilled with the section order of their main UI, though. Thankfully, the app allows you to reorder and remove any section that you want. To get started, tap the … icon on the bottom right, then choose Settings. Tap Reorder Sections, and a screen opens that allows you to remove sections or drag to reorder. I personally don’t use the videos section, so I removed it. I reordered my remaining items as Currently, Daily Forecast, Looking Ahead, Hourly Forecast, Sun and Moon. I’m enjoying using AccuWeather Platinum. 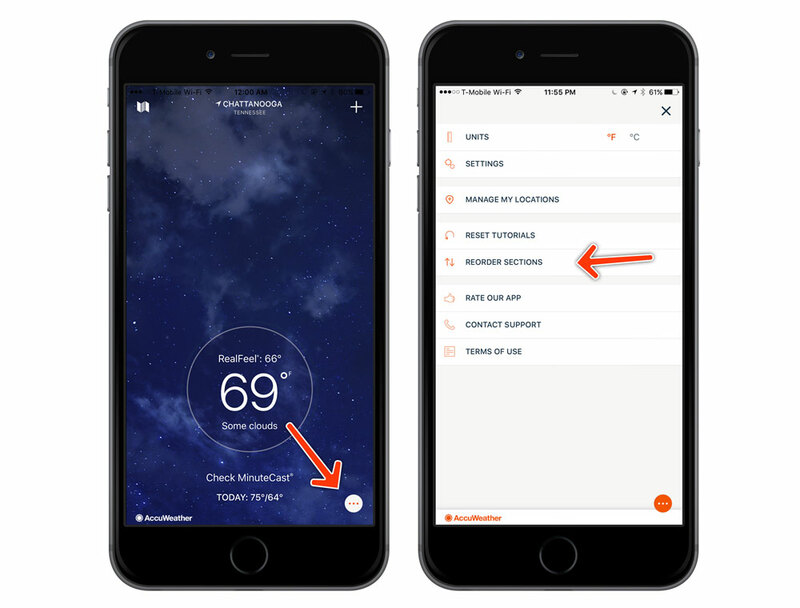 If you are looking for a new general purpose weather app, be sure to read our review.